From as early as 1998 Amla Natur has exemplified ayurveda products of high quality. 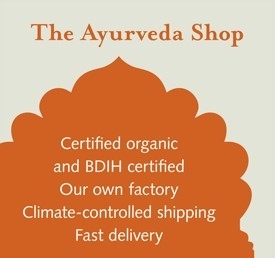 The company places great importance on authenticity and only processes selected ayurveda products from renowned sources. The oils and ghees are prepared and packed according to traditional ayurvedic manufacturing standards and to strict purity requirements in the company’s own facilities. Trusted suppliers provide the company with herbs from gorgeous Indian landscapes. In addition to ayurvedic oils, Amla Natur offers a great range of spices, food, teas and accessories; everything needed for your ayurvedic day. To help you get started with ayurveda you can find much information and many tips by visiting our ayurveda knowledge page. We set high standards for the safety and quality of ayurvedic products. We work in accordance with HACCP to ensure the legally required quality management for the production of food in Europe. HACCP stands for Hazard Analysis and Critical Control Points. This clearly structured concept comprising preventative measures ensures the exclusion of all possible risks connected with the manufacture of foods. Our quality management is unique in Europe. From the raw material check to final control, every product runs through a multilevel control system. Our team of experts on ayurveda plants and pharmacology visit growers and manufacturing facilities in India to choose the best quality organic products. During these inspections they put emphasis on traditional aspects of ayurveda plant growth, meticulous cleaning of the raw materials after the harvest and the method of drying (to preserve raw food quality the temperature during drying should not be higher than 42°C). Among numerous churnas and herbal extracts Amla Natur puts particular importance in the use of the Indian gooseberry from which the online shop takes its name. Amalaki (amla) comes in various forms: as a traditional amla jam, an extract, a churna or as a tasty herbal wine – you will find something for every taste. The high quality organic cosmetic line by Classic Ayurveda combines natural ingredients with the highest quality standards. Selected cosmetics for face, body and hair provide daily ayurvedic care. The practical dispenser is elegantly styled – an eye-catcher in every bathroom.